Before sending your transfer images to print, there are a few steps which you will need to follow in order to get better results from your printouts. First, open up the image in your chosen image editing program. Here we are using Photoshop. Once the image is open, the first thing we want to do, is to setup up the correct paper or print size. Change the width and Height to 21 cm x 29.7 cm. Click “OK” to activate this change. 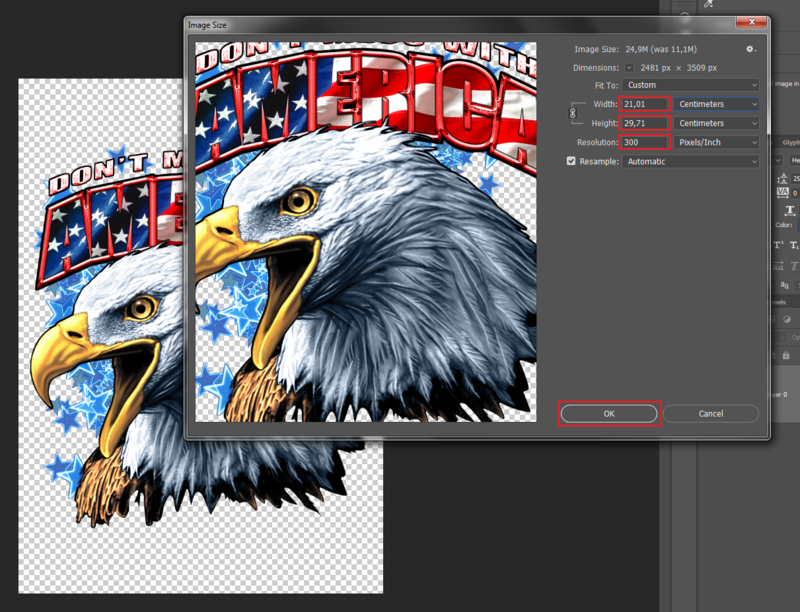 Once the canvas size or the paper size has been setup, the next thing we need to check is the resolution of the image. 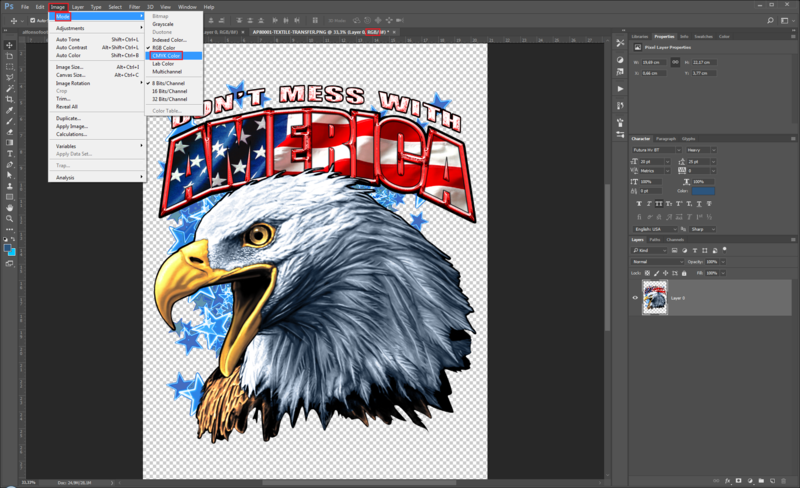 This is very important, if you want your images to look as good on the t-shirt, as they do on the screen. 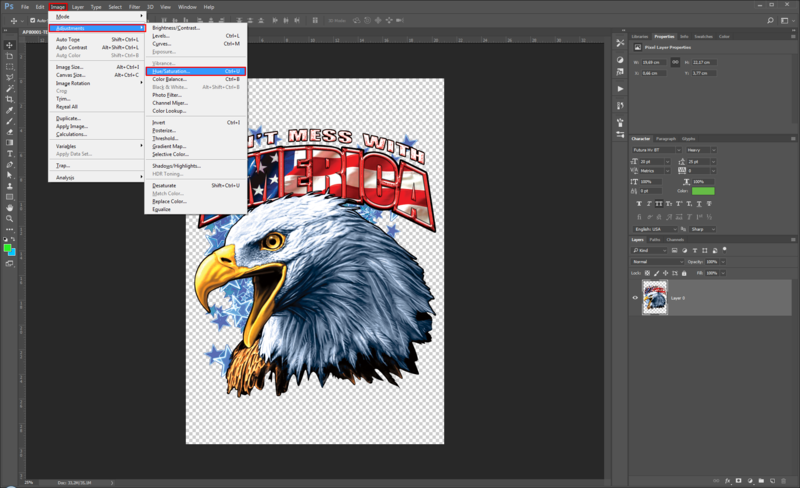 Setting the image resolution to 300 DPI/PPI is the best way to do that. What does DPI & PPI mean? DPI stands for “Dots per Inch” and PPI stands for “Pixels per Inch”. 300 DPI or PPI is the industry standard for printed images. Do not forget, your printer will use “LPI” which is the printer resolution, meaning “Lines per Inch”. Type “300” in the resolution field. Note: This may change the image size slightly. You can see in the image below, “00.01” cm has been put on the end of the page size. The next change we want to make is to the image color settings. The two main color options which we need to look at, are CMYK and RGB. CMYK stands for Cyan, Magenta, Yellow & Black – you will notice that these colors also match the colors found in your printer – that is why CMYK is best used for printed images. RGB on the other hand, stands for Red, Green & Blue – these colors appear on screens, digital devices and websites. NOTE: If you are changing the image colors from RGB to CMYK, this may change the onscreen colors. Using the Saturation settings, can bring back the brilliant colors to the image (see image below). Move the Saturation bar until your colors look better (see below image). If you found this Tutorial helpful, then please leave a comment. If there are more issues, which we can help you with, please ask away. How to check your image color values (Photoshop)? I have many designs with small black text that I don’t want manipulated in the Transfer Rip software. There may be a way to do that but I haven’t figured it out if there is. If that option doesn’t exist please consider adding that feature in one of your next revisions. By “manipulated in the TransferRIP”, are you referring to the rasterized dots? If so, you can choose the Light garment raster option. This option will remove the white and light colours from your image, leaving only the darker colours in your image. 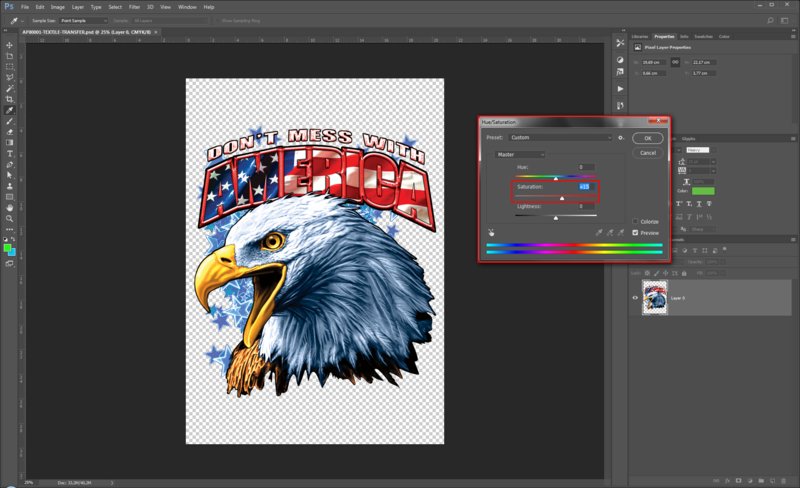 The light raster option only rasterizes the leftover colours in your image and does not rasterize the Black colour areas. The Light media raster option is only recommended for printing onto light garments. 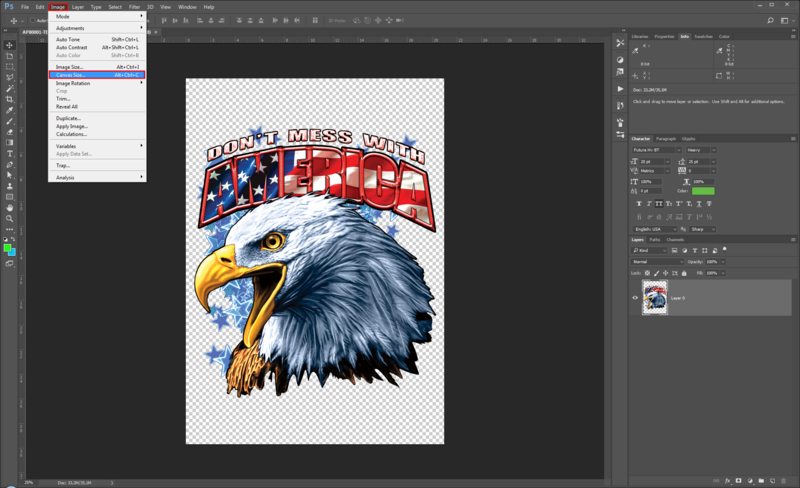 The Dark media raster option is only recommended for printing onto dark garments, but in your case, the dark areas of the image will be removed or rasterized with small dots. 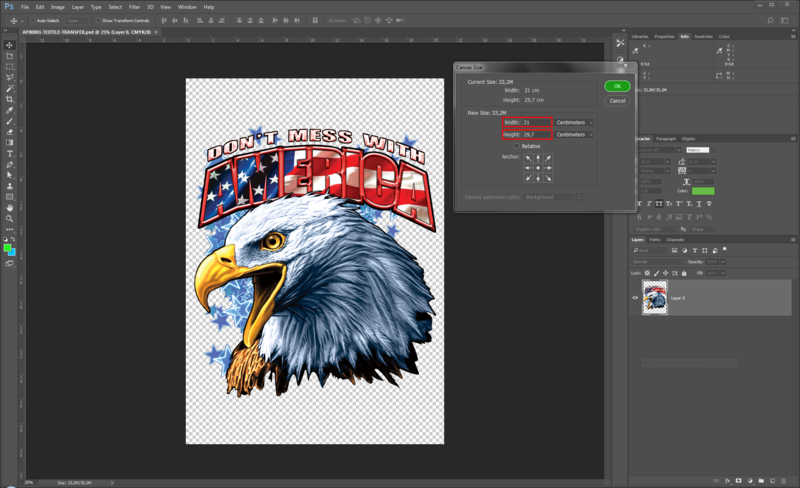 If the light raster option is not an option for you, then you can always change the colours in your image to fit better with your garment colour.